LinkMyDeals is India' only true Coupon Feed provider. Period. This means most Coupon Websites in India rely on us to deliver fresh and updated offers runnning on various online stores. We follow store websites, App notifications, Email Newsletters, Social Media communications, and all such official channels to get the latest offers to our clients. With a FREE merchant account, you get access to view and manage all the offers that we have collected so far related to your store. This is a great way to speed up the delivery of new offers or to send out updates to all coupon websites on our client list. LinkMyDeals provides a Auto-Deeplinking solution to Affiliate Marketers to control where they want to monetize their outgoing links. For each merchant, our clients can choose from different Affiliate Networks and store's own Affiliate Program. With our FREE Merchant Account, you can easily add and update your Affiliate Program to LinkMyDeals Deeplinking options. Once it is available to the Affiliates, they can join your program and start directing traffic to your store - thereby generating sales for you. Everyday, dozens of Affiliate Marketers, Coupon Websites and Bloggers log into LinkMyDeals to download Coupon Feeds, or manage their Affiliate Tracking, or to use our Affiliate Marketing Tools. This makes LinkMyDeals the perfect platform to promote your new Online Store, or your Affiliate Program! Interested Affiliates can then add your store to their feeds, and subscribe to your Affiliate Programs. We will send out a Promotional Email to all our affiliate clients, regarding your Online Store or Affiliate Program. 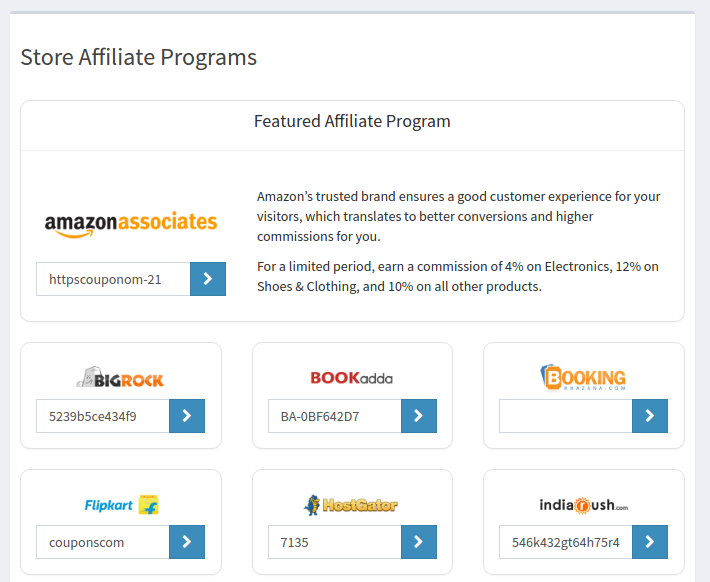 An Affiliate Program is one of the best ways of increasing your sales. This is because your affiliates do all the hard-work of promoting your brand via their websites or newsletters, while you pay ONLY IF a sale is generated. The problem is, that customer was already convinced to buy from your website. He/She just searched for coupons related to your website, and so clicked on one of the affiliate links. And you ended up paying Affiliate Commission for no reason! 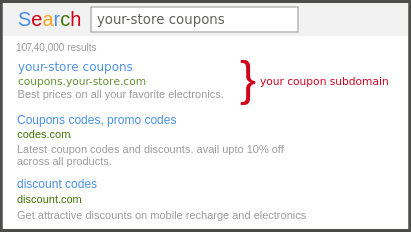 LinkMyDeals takes the hassle out of creating a coupon subdomain and managing it. We already host all your offers. Plus, you can create/edit/delete offers using our panel. So we will create and host your subdomain, which will also be SEO Optimized. And because it will use the root domain of your website itself, it can easily rank on top of the search results.